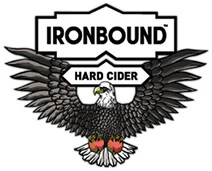 This month, Charles Rosen, founder of Jersey Cider Works, announced the company’s debut throughout the Garden State with the first retail release of its highly anticipated Ironbound Hard Cider. Made from fresh-pressed American apples sourced from orchards in New Jersey and nearby states, Ironbound Hard Cider is a well-structured, perfectly balanced, complex cider with a bright apple flavor and the aroma of fresh-pressed apples. By designing a moderately priced cider with a balance of sweetness, acidity and tannins, and a crisp, clean finish, Ironbound’s cider maker, Cameron Stark, has created a cider that fills the void between extra-dry artisanal ciders and the super-sweet six-pack ciders from concentrate. 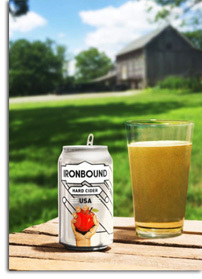 With a 5.2% ABV and a fresh taste that is not cloying sweet (Ironbound is not back-sweetened with added sugar or high-fructose corn syrup), Ironbound Hard Cider can be enjoyed all day long. The cider pairs well with burgers, pasta and grilled chicken plus cheeses like Humboldt Fog, goat and Manchego. New Jersey has a long history of cider making, especially in Newark where cider was one of the city’s first industries. Celebrated throughout the 18th and 19th centuries, Newark cider was considered by many, including George Washington, to be one of the finest in America. Ironbound Hard Cider is named in honor of the Newark-based farm crew that works at the 108-acre Hunterdon County farm shared by Jersey Cider Works and its sister company, New Ark Farms. Both Jersey Cider Works and New Ark Farms are committed to the revitalization of the Greater Newark economy by focusing on job-creation for the community’s chronically underemployed. New Ark Farms is managing the company’s heritage cider orchards using regenerative practices to graft, plant and maintain seven thousand 18th century heritage apple tree varieties that originated over 250 years ago in and around Newark. In the coming years, Jersey Cider Works will use these apples to make its own versions of heritage Newark cider. Ironbound Hard Cider is distributed by Hunterdon Brewing Company and will be available at retail stores statewide in six-packs of 12-ounce cans for a suggested retail price of $11.99, and also on tap wherever craft beverages are sold. 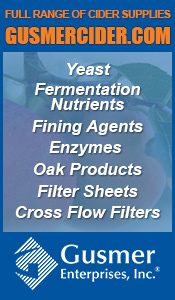 For additional information on Ironbound Hard Cider, please visit JerseyCiderWorks.com. Photos courtesy of Jersey Cider Works. With the popularity of cider skyrocketing and the number of craft cider makers exponentially growing, it’s no surprise that establishments that cater to these loyal cider drinkers have begun to spring up although, not quite at the same rate. Though these cider bars are few and far between, cider lovers seek them out in an attempt to try new hard cider beverages that may not be easily accessible in local distribution. Cider lovers rejoice and mark your maps as Lost Valley Cider Company opens its doors to all. Lost Valley Cider Company located at 408 West Florida Street in Milwaukee, Wisconsin is the first bar in Milwaukee dedicated solely to hard cider and cider based beverages. At the time of this writing Lost Valley had 22 hard ciders on tap and over 120 ciders in regular and large format bottles. Ciders currently on the draft list include Finnriver Oak & Apple, Le Brun Organic Cidre, Seattle Cider Maple Oaked Cider, and Vander Mill Ginger Peach. The bar also features a few beers on tap as well for those who are looking for something other than cider. Lost Valley also carries mead for unconventional drinkers to sip. Besides the outstandingly long bottle and draft list, the bar also features hard cider based cocktails. Draft beer gets mixed with the perfect cider to create snake bites, mead gets added to cider to make cysers; the possibilities are endless. 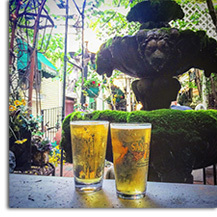 Lost Valley’s extensive draft list of ciders includes selections from not only Wisconsin, but all over the world. With such a vast collection of outstanding craft cider, it would be impossible to try them all in one visit, which is why Lost Valley allows customers to fill up to 32 ounce growlers with delicious cider as well as the ability for them to purchase cases of cider for off-premise consumption. The bar is cozy, clean, and modern with 50 seats for patrons inside along with approximately 20 additional seats on an outdoor patio when weather permits. While the bar does not focus on food, they do provide some snacks and allow patrons to bring in their own food as well as encourage them to check out Milwaukee’s local food offerings. Besides serving some of the best ciders, Lost Valley Cider Company intends to focus on educating enthusiasts about hard cider with classes ranging from cider tasting methods to cider pairings and more. Classes such as this will allow newer cider drinkers and those wishing to extend their cider knowledge the ability to extend their tasting palettes and enjoy their ciders to the fullest extent. 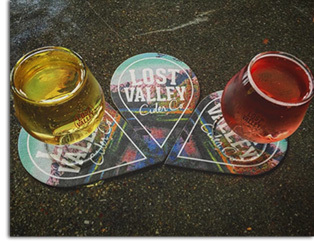 For cider drinkers looking to experience a bar that caters to their individual interests, Lost Valley Cider Company needs to be at the top of their lists. From hand selected quality ciders to a focus on education, this cider bar is doing its part to expand the cider industry and introduce this wonderful beverage to all. For more information on Lost Valley Cider Company, log on to LostValley.com. Photos courtesy of Lost Valley. 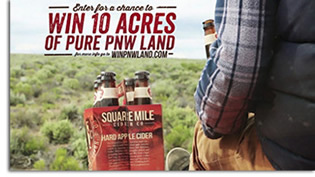 The award-winning Square Mile Cider Company launched a program this month that will give away a 10-acre plot of land in Deschutes County, Oregon, approximately 15 miles outside of Bend, Oregon. The plot of pure Pacific Northwest land will allow the winner to explore and connect to his or her own piece of the outdoors and is ideal for camping, exploring and high-plains dreaming. 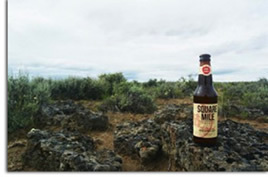 Square Mile Cider’s name pays tribute to the original American pioneers who set out on the Oregon Trail in search of a better life. These pioneers chose a daring path, and those who made it were granted a square mile plot of land where they could stake their claim and pursue their dreams. Many of those original pioneers choose to plant apple orchards, and Square Mile Cider uses apples from those plots in their award-winning ciders. This summer’s plot of land giveaway is an effort to capture that ideal, and reward the winner with their very own piece of Oregon to explore and enjoy. The contest is open from June 1, 2016 to September 6, 2016, to legal residents of the United States currently living in Alaska, Arizona, California, Colorado, Idaho, Missouri, Nevada, Oregon, Texas or Washington, who are at least 21 years of age at the time of entry, and can legally own land. Interested individuals can visit their local retailer for text-to-win information or visit WinPNWLand.com. Official rules of the contest can also be found at WinPNWLand.com. No purchase is necessary. Simply fill out the form online, text-to-win or send in a hard entry. Good luck! Ask a wise farmer about thirst-quenching beverages, and you’re likely to hear a story passed down through the generations about a concoction known as switchel. Although it may not contain hard cider or any alcohol, switchels can now be found on many cocktail menus. 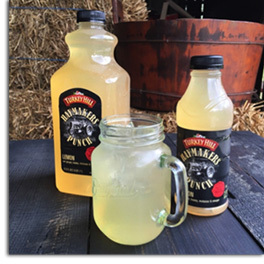 In 2014, Food & Wine even reported, “Switchel: The Best Summer Drink You’ve Never Heard Of.” And now, as Turkey Hill Dairy kicks off a year-long celebration of its 85th anniversary, it pays tribute to that beverage – and its own farming roots – with a new line of drinks called Haymakers. Haymakers, available in ciders, punches and teas, is made with simple ingredients like ginger, honey, vinegar, and molasses. Although the six-flavor line-up does not include any alcoholic beverages, it does include a Berry Punch, Lemon Punch, Sweet Tea, Lightly Sweet Tea, Original Cider and Tart Cider. Switchel came to the American colonies in the late 17th century and, by the 19th century, became a traditional drink enjoyed by thirsty farmers. 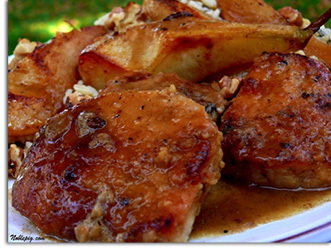 Recipes often varied slightly, with some – like the flavors in Turkey Hill’s Haymakers lineup – adding a splash of apple cider vinegar. The end result was a beverage that curbed thirst during summer days in the fields. Each natural ingredient in switchel – and today in Haymakers – was carefully selected to deliver key benefits. The ginger soothed and settled the stomach, while the vinegar quenched thirsts even better than plain water. Ingredients also changed based on what was widely available in each region. Farmers in New England and other northern states typically sweetened their beverage with molasses, while southern farmers preferred honey. Haymakers is the latest chapter in a series of drink innovations for the 85-year-old dairy. Turkey Hill’s drink innovation history includes development of an apricot and prune beverage called Beep for Breakfast in the 1960s and a 1994 United States Patent for a unique, half-gallon iced tea container. Haymakers is available in 18.5-ounce and 57.6-ounce sizes at select grocers and convenience stores where Turkey Hill products are sold. For more information about Turkey Hill Haymakers, visit TurkeyHillHaymakers.com. A coupon for your next purchase can be found on the Turkey Hill website. Photos courtesy of Turkey Hill. Buskey Cider, which launched earlier this year in the historic Scott’s Addition neighborhood in Richmond, Virginia, announced this month that it is now producing an innovative Nitro Cider. Team Buskey has experimented and developed a cider that through introducing nitrogen, instead of CO2, provides a rare experience for cider drinkers. Buskey’s Nitro Cider has a distinctive mouthfeel that comes from the smaller bubbles which creates a smoother, creamier experience for the palate. When the staff pours a pint from the sleek chrome slow pour tower, the cider cascades – developing a thick white head on top which helps to preserve fresh apple aromas. Originally made famous by Guinness, nitro use in craft beer has become an important part of the beer market. The release of Nitro Cider is yet another way for Buskey Cider to appeal to the modern craft drinker who enjoys beers, wines, spirits and/or meads and carries those experiences and preferences into their hard cider experience. 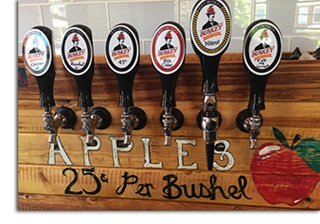 Buskey already showcased a variety of infused ciders from the two Randalls in the tasting room including jalapeno-lime, cherry-lime, grapefruit-lemongrass, peach and watermelon-rosemary, served in the ever popular beer can shaped pint glass. There is no more craft experience than fresh produce infused into your pint right before your eyes. 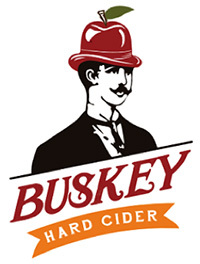 For additional information about Buskey Cider or their portfolio of ciders, including Nitro Cider, please visit BuskeyCider.com. Photos courtesy of Buskey Cider. In July 2015, Hard Cider News looked into a Minnesota based cider company with innovative packaging. The cidery was Loon Juice, a company all its own but associated with Four Daughter’s Winery, and since that 2015 article, the company has continued to see huge growth. Due to overwhelming demand and consequently, a need for increased production, Loon Juice has finally opened its brand new facility. By the end of May 2016, the surprisingly large 14,000 square foot production facility was complete and opened its doors. The new facility is monumental in advancing the company forward in their goals of growing their distribution beyond the Midwest. 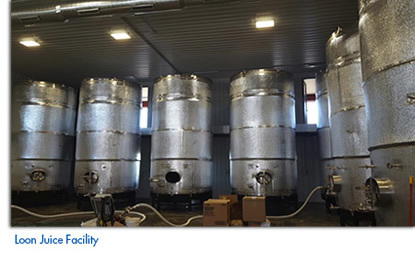 This new facility is one of the largest cider facilities in the area and Loon Juice hopes to bring their cider national due to the great response they have received locally. Strawberry Shandy – This flavor adds strawberry and lemonade to a hard cider base to create a naturally sweet, tangy summer treat. Launched this month! Ginger Mojito – Building on the classic hard cider, lime, natural ginger, and mint bring a refreshing twist based on the popular cocktail. 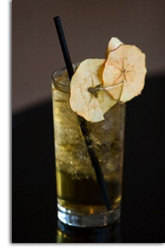 Tea Time – This flavor was made with an interesting twist, taking hard cider and combining it with Chinese black tea to draw the best features of each into an exciting new cider beverage. All of the three new ciders build on the base that made Loon Juice so popular, which is created using Minnesota Honeycrisp apples. The Loon Juice original Honeycrisp cider will still continue to be produced and will be included in the new variety packs that will be hitting the market when the new flavors are released. The variety cases will be available in twelve and twenty four packs. Six packs of each individual flavor will also be available for purchase upon the flavors release. 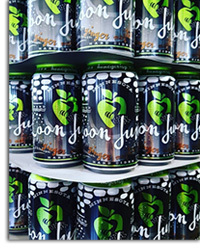 To find out more about Loon Juice cider, head to LoonJuice.com. Photos courtesy of Loon Juice.